I first went to Kerala in 1993, in the company of the ecologist Madhav Gadgil. We had been asked to speak at a meeting organized by that remarkable peoples’ science organization, the Kerala Sastra Sahitya Parishad. We were received at Ernakulam Railway Station by the zoologist M. K. Prasad, a doyen of the KSSP. Despite his high status in society, Professor Prasad had come by bus, and he dressed very simply, in bush shirt and rubber chappals. The first lesson of the Kerala floods, therefore, is this; earthquakes and floods do not recognize distinctions invented by crafty humans to divide, and to rule. But there is a second lesson, which may be harder to comprehend and act on. This is that if we abuse nature and disregard the limits it sets on human behaviour (and especially human greed), it will take its revenge upon us. If Kerala wishes to heed this second lesson, then the person they must listen to more attentively is the scientist I first went to that state with. Madhav Gadgil left the prospect of a dazzling career in the Western academy to join the Indian Institute of Science, where he established a Centre for Ecological Sciences. Through his own books and essays, and through the students he has nurtured and inspired, he has worked ceaselessly for ecological responsibility. Drawing on many decades of field experience and the latest scientific studies, the Gadgil Report sought to harmonize economic growth with environmental sustainability. Development plans, it said, ‘should not be cast in a rigid framework, but ought to be tailored to prevalent locality and time-specific conditions with full participation of local communities, a process that has been termed adaptive co-management.’ This ‘would marry conservation to development, and not treat them as separate, incompatible objectives’. The Gadgil Report underlined that ‘ecological sensitivity is not merely a scientific, but very much a human, concern.’ It argued that modern science must be enriched with the folk ecological knowledge of peasants, artisans, pastoralists, and fisherfolk. It pointed out that ‘excessive centralization of regulatory control does not, and has not worked well…’. It advocated that the political system ‘strengthen resource and environmental federalism in the Western Ghats, and move towards more polycentric forms of governance, and many centres of decision-making, which will enable more innovative responses, learning, cooperation and better adaptation to ecosystem pressures and changes’. The Gadgil Report closely examined different sectors of economic activity: agriculture, animal husbandry, forests, fisheries, power, industry, roads, etc. It looked at existing practices in each of these sectors, and how, with the aid both of cutting-edge science and participatory decision-making, they could be made more efficient and sustainable. There was a particularly telling section on mining, which had destroyed forests, degraded soils, polluted the atmosphere, and depleted water sources. Mining had also gravely damaged human health, and thrown farmers, pastoralists, and fisherfolk out of work. All across India, unregulated mining runs rampant, with politicians collaborating with contractors to destroy nature and impoverish local communities. 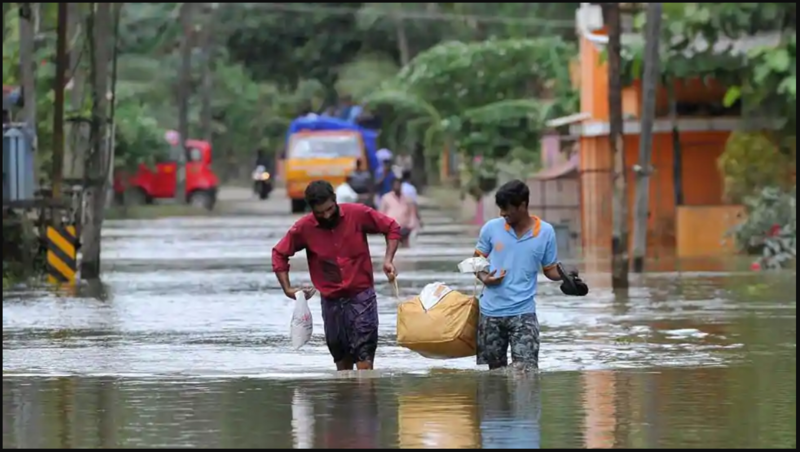 Field reports suggest that landslides, soil erosion, and deposits of debris caused by stone quarrying and sand mining had contributed substantially to the intensification of the floods in Kerala.